She says today's kickoff event at Southcentral Foundation for Child Abuse and Sexual Assault Awareness Month will help spread awareness about the issue, and includes traditional Alaska Native dance groups Acilquq as well as Princess Warriors. The event starts at 12:30 and supporters are encouraged to wear teal and/or blue. SCF Family Wellness Warriors Initiative Advocate Polly Andrews visits KNBA and models a teal qaspeq in honor of Child Abuse and Sexual Assault Awareness Month. Polly Andrews shares a bit about the connection between cultural activities, strengths and prevention, as well as the Commencement today of the Southcentral Foundation's Child Abuse and Sexual Assault Awareness Month activities. Today on Morning Line - Danny and Frank visited with Southcentral Foundation's Family Wellness Warriors Initiative's Polly Andrews, who talked about her experiences learning and growing after going through the program - and some of the details of the upcoming Friday Fair at the Alaska Native Primary Care Center lobby, which is every Friday this month. 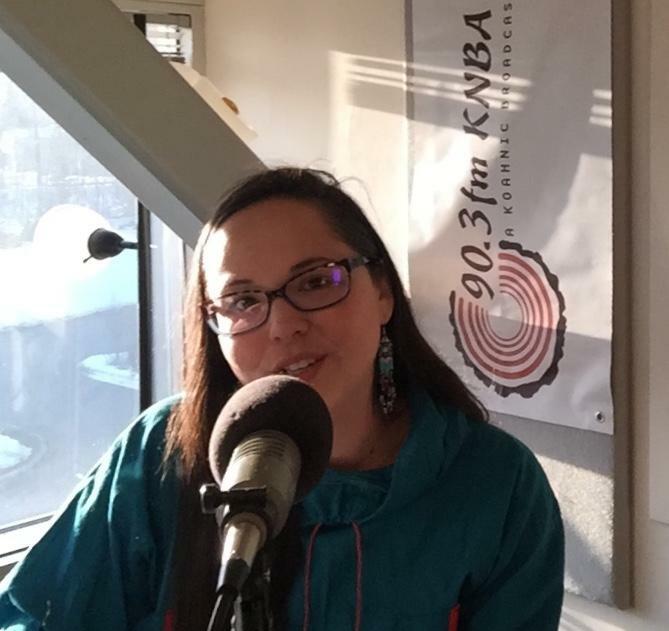 Andrews emphasizes that the events are open to anyone who wishes to attend, and was moved to share her story on KNBA after interested listeners came by the Friday Fair last week. As heard today on Our Community on Morning Line, Manager Neil Chandler with Southcentral Foundation Soldiers’ Heart Program. April is National Child Abuse Prevention And Sexual Assault Awareness Month. Polly Andrews, Outreach Advocate with Southcentral Foundation’s Family Wellness Warriors Initiative joined Morning Line today to help spread the message about healthy traditions for our families. Among other things, Andrews shared that community members can learn more by visiting the awareness fair this Friday at the Anchorage Native Primary Care Center Lobby from 10 to noon. Today on Morning Line, Loren and Frank talked with Robert Heffle, the Training and Clinical Manager for Southcentral Foundation's Family Wellness Warriors Initiative. As April is National Child Abuse & Sexual Assault Awareness Month, the Southcentral Foundation is holding Friday Fairs this month, from 10am to noon with a speaker at 1pm - this week's speaker is from the organization Safe Families for Children.